Share This on Twitter! Reader's Digest Asia is having a holiday contest. 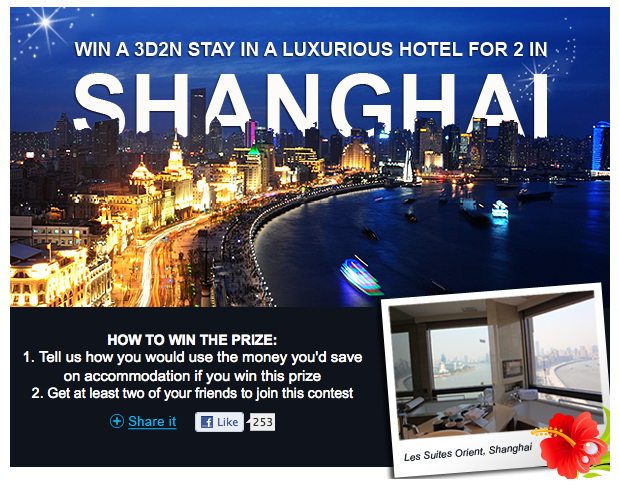 The Prize: A 3D2N Stay for 2 in Shanghai! 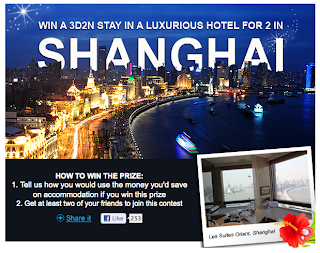 To win this luxurious hotel stay is enough savings when traveling abroad. Like it or not, the accommodations do take up a big chunk of your spending for travel, especially when you want comfort partnered with your trip. If I can win it, then I will only answer, "Why not?" If you were to win this prize, how will you spend the money you saved on accommodation? Just answer this question and get at least 2 friends to join.